You have reached this tutorial because you are facing the following problem. You are trying to uninstall an old version of LibreOffice or upgrade to a new one, on Windows. When you run the installer wizard, or try to remove the program through the Control Panel, you get a message that you must exit the program and its Quickstarter before continuing. But LibreOffice is not running! What now? You also tried rebooting, and this does not help. LibreOffice stubbornly refuses to do its work, and the uninstall or the install for the sake of upgrade both fail. You are an advanced user, and you even tried running ProcessExplorer in order to locate the LibreOffice handles or open files, but there are none, no processes running, and you're still stuck. Well, this guide will show you how you can easily resolve the issue and get your programs sorted out. Do read. It's simple. There's a bug in LibreOffice, or rather its installation functionality. Sometimes, it may wrongly assume that the program is running because it might not have permissions needed to remove the existing content. True, you might have the Quickstarter running, but that's not really what's bothering you, otherwise you would not be here. You will see a message like shown in the quoted text and image below; the exact version is not important, it can be 3.3, 3.5 or even version 4.0 or any other you fancy. Please exit LibreOffice X.X and the LibreOffice X.X. Quickstarter before you continue. If you are using a multi-user system, also make sure that no other user has LibreOffice X.X open. To work around this problem, we will resort to using the command line in Windows. Yes, you heard me. What you need to do is fire the command prompt (cmd) as an administrator. Once it's open, navigate to the folder where you keep the LibreOffice installer for the new version. Most likely, it's going to be an .msi file. Start it from the command line, and then resume the graphical wizard normally. I promise you, this time, you will succeed. If you're planning on upgrading, you can run the new installer, it will remove the older version, so no need for you to do the hard work twice. This is a super-short yet mighty guide. 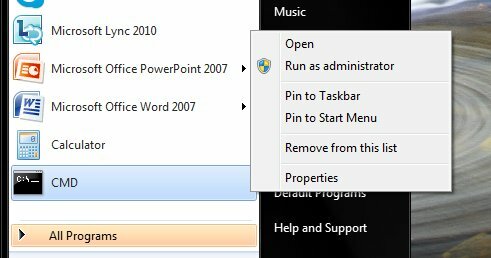 It explains the woes of permissions that may exist in Windows, especially the new versions with their pseudo-Administrator mode and/or multi-user setup, it explains what LibreOffice does in such situations, and how you can work around the problem by using the command line. Dandy like hell. There you go. Now, you can start using LibreOffice and enjoying its features. All in all, it's a fairly good program, and you should give it a chance, even if the installer may try to persuade you otherwise. And remember, the command line on Windows is a very good thing, if you have the willpower to embrace it. That would be all.